RPGs have one of the most loyal followings of any gaming genre. Whether it’s Final Fantasy or World of Warcraft, people spend dozens of hours crafting characters, playing story lines, and enjoying themselves. RPGs were also one of the first genres to really hit it off on Android and there are a ton of them to choose from. 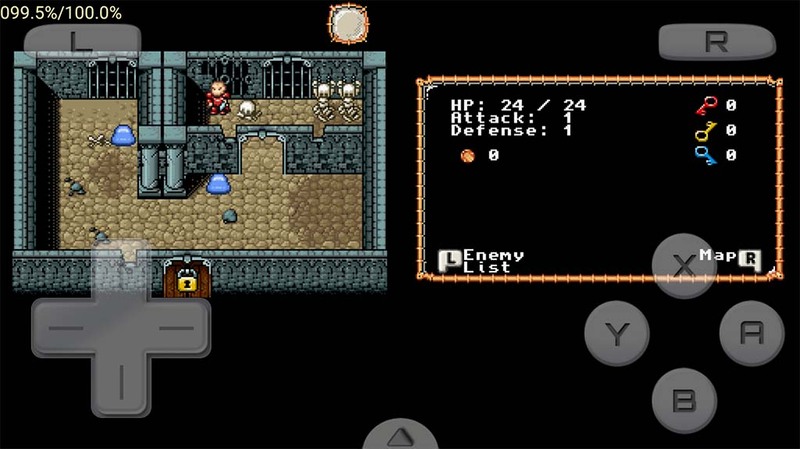 Here are the best RPGs for Android. Please note that in this list, we’ll be tackling jRPGs and “standard” RPGs. Other types have been covered in other lists. Enjoy! Here are some more excellent RPGs to check out! Another Eden is a new RPG in 2019 and people seem to like it quite a bit. It's written by the same guy that did Chrono Trigger and the composer is the same as well. Players traverse time to save their sister (and many other people) from a bunch of bad guys. The game world is beautifully designed and the combat mechanics are relatively simple. Plus, there are enough Chrono Trigger references to fill Guardia Castle. There are some gacha elements, hence the freemium price tag. However, the game shies away from the traditional mobile RPG design of having a ton of menus and many different events. Players are put on the campaign mode and left there upon starting the game. The combat is a little simple for our tastes, but this is easily among the best RPGs of 2019 so far. Beamdog is a developer that specializes in porting old PC RPGs. Their collection includes Baldur's Gate, Baldur's Gate II, Icewind Dale, and Planescape: Torment. Those are the PC ports. Their latest game, Seige of Dragonspear, is an original game. These are huge games with dozens of hours of story line each. Additionally, they feature deep character building, difficult quests, and every DLC for each game. They're old school RPGs. That means they're deep, time consuming, and complex. However, those looking for a more casual experience should likely steer clear. Additionally, we recommend you play these on tablets because the controls can be a bit cramped for even larger smartphones. They're $9.99 each. A couple of them have in-app purchases, but it's for in-game content like voice packs. Doom and Destiny Advanced is the sequel, prequel, and reboot for the original Doom and Destiny. Its predecessor was on our list for the best RPGs for a couple of years. The game features a lot of the same characters and premise as the original but in a completely different story line (and even dimension), according to the developers. It boasts 15 hours of content with free content being added, plenty of dungeons and secrets to find, tons of monsters, and even online co-op mode. It’s a lot of game to play and it’s perfect for retro fans. Mage and Minions is a free to play RPG. It can also be played offline. It's one of the few RPGs that can. It has a variety of story lines and concepts and you’ll be battling robots, skeletons, beasts, demons, aliens, and many others. Of course, there are plenty of things for you to find and gather. It is a little bit more hack-and-slash than it is an RPG, but the elements are definitely there. Like most freemium games, the repetitiveness will become tedious after a while. However, it's fun while it lasts. Exiled Kingdoms is a single player action RPG. It's one of the few in this genre that isn't also a freemium game. It features a story line where you have to save the world from horrors that were leftover from a previous cataclysm. The graphics aren't the best part of the game. However, they do get the point across and the menu system is easy enough to understand. Like most RPGs, you'll have to upgrade your character, complete the story, and explore the world around you. The free version gives you a fairly large trial with two character types of play with. The full version unlocks everything. Take a break and check out some more excellent Android games! Evoland and Evoland 2 are two very interesting games. They feature a variety of mechanics. That includes RPG, platformer, hack-and-slash, puzzle, and even some fun stuff like 3D fighter and trading card mechanics. Players traverse through the game world that frequently changes along with the game mechanics. However, its core genre is RPG. The games boast roughly 20 hours of play, offline support, hardware controller support, and more. The controls for the mini-games are a little rough around the edges and users reported some bugs. Aside from that, these games are quite good. The first Evoland is $0.99 while the second goes for $7.99. Neither have in-app purchases or ads. Fire Emblem Heroes and Dragalia Lost are two RPGs from Nintendo. Fire Emblem Heroes is a surprisingly good (and smooth) strategy RPG. Players move characters around a checkerboard style map and attack bad guys. There is a story, gacha elements, and some social elements as well. Dragalia Lost is an action RPG with 60 voiced characters, a decent story line and soundtrack, and a colorful game world. Dragalia Lost had a rough release, but it seems to have ironed all of those out. Nintendo makes some rock solid mobile games and these two RPGs definitely deserve to be here. Before Square Enix started launching ports of its classic jRPGs, there was only one really good jRPG developer on Android and that was Kemco. The studio specializes in RPGs and they currently have dozens of games in their repertoire. Some of their more popular options include Symphony or Origin, Machine Knight, Covenant of Solitude, the Alphadia saga, and many more. Most of the games cost under $5. There are even a few that are free. None of them are bad, but you may or may not like them based on your preferences. You can click the button above to view their entire collection. It's quite vast so prepare for some scrolling. In addition, the games run the gamut between 1990's style JRPGs and mid-2000's level graphics. Knights of Pen and Paper is a unique concept because it’s a little bit of a game inside of a game. You’ll be playing warriors in the pen and paper RPG world as they control their own characters and you’ll even get to play as the dungeon master. This gives you control over things like whether or not you want to fight a battle. It’s a unique premise with tons of content to enjoy. The +1 edition adds some extra content to help round up an already pleasant experience. It's one of the most unique RPGs on the list. Langrisser is another newer SRPG. It's a mobile version of the popular game from the early to mid-1990's. There are gacha elements. Thus, players collect a bunch of characters and use them in their battles against evil. In addition, the game includes a story mode, online PvP, and a bunch of scenarios and story cameos from the older games. It's a great big ball of nostalgia for fans of the series and a solid SRPG for fans of the genre. Even the freemium elements aren't that bad. However, those who don't like the slow game play of SRPGs may want to skip this one in favor of something a little faster. Monster Hunter Stories was one of the best RPGs from 2018. The game is a port from the Nintendo 3DS game from 2016-17. It features turn-based mechanics, decent graphics, and a decent story line to play through. Of course, you do still hunt, capture, and battle monsters as well. It is a port, but it actually plays pretty well for a mobile port. In addition, the game has one of the best demos we've ever seen. You basically play the prologue in the demo and then port the save to the main game in the premium version. The premium version is quite pricey at $19.99. However, it is a single purchase with no in-app purchases or ads. Portal Knights is one of the newer RPGs on the list. It also has sandbox and action game elements as well. It features a lot of the standard RPG elements along with randomly generated sandbox worlds, boss fights, hack-and-slash mechanics, local multiplayer over WiFi, game controller support, and more. There is a lot to this game. Far more than we can list or talk about here. Needless to say that this game has a ton of content and it'll take you forever to get through all of it. The story part is a little lackluster, but the sandbox elements and local multiplayer are genuinely fun. The game runs for $4.99 with no in-app purchases or advertisements. Sorcery is a series of highly rated RPGs. They are pseudo-text based in nature and they have been compared to playing along with a graphic novel which is a fair assessment. It features an open world that you can explore as you see fit and you can even time travel if you want to. You’ll also be making plenty of decisions that determine how the game turns out. There is a ton of stuff to do and it’s definitely one of the more unique experiences on mobile. There are four games in total. Each one costs about $4.99 and have no in-app purchases. Square Enix has been working hand-over-fist to release their collection of RPGs on Android over the last few years. Fortunately, most of them are fantastic RPGs. Some of the stuff you can find is Final Fantasy I-VII (and IX), Dragon Quest I-VI (and VIII), Secret of Mana, Adventures of Mana, Final Fantasy XV: Pocket Edition, and many others. They also have mobile RPG games like Final Fantasy Brave Exvius and others. You can even pick up strategy RPGs like Heavenstrike Rivals and Final Fantasy Tactics: War of the Lion. Their collection is extensive and you can find stuff that ranges anywhere from freemium to pay-once. Seriously, they have a lot of great stuff. Yet Another Pixel Dungeon is from an older form of RPGs. This one is a classic dungeon crawler and it's fairly difficult. Players get four character classes, four difficulties, a variety of equipment and abilities, simple graphics, and simple controls. These games are meant to be difficult and this one is no exception. There are 31 total dungeons with shops every five floors. That's a lot of space to cover without going back for supplies. In any case, this one doesn't rely as heavily on narratives like most other RPGs and instead relies more on mechanics. It's hard, but it's fun and it's super cheap. Thank you for reading! Here are a couple more app lists to check out! If we missed any of the best RPG games for Android, tell us about them in the comments!